Even at a young age, women have the fear of their skin sagging and getting wrinkles. But fear no more, we have listed down our picks of (proven to work) anti-aging serums that will not disappoint! 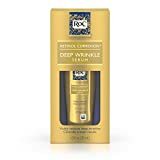 This product not only has the goodness of Retinol but is enriched with Vitamin A and Vitamin E.
Helps in making your skin wrinkle-free and super supple! This product helps rebuild the two essential components to reduce the look of signs of aging. The patented blend of growth factors and peptides repairs damaged cells to enhance the tone and texture of skin. SkinMedica TNS Recovery Complex helps firm and tighten skin for a more youthful appearance. Dry, oily, normal or combination skin types can use this anti-aging product to restore a glowing complexion. Even if your skin isn’t showing the signs of aging, it is advisable to start using Luxia No. 7 as a precautionary measure. This a highly potent collagen enhancing serum as it increases collagen production in your skin and does not contain artificial collagen fillers. It also repairs the damage caused by sun, smoking, and pollution. It gives you firmer, fresher and rejuvenated skin within few weeks and that too without any side effects. 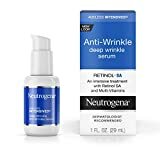 The miracle substance for this product – Retinol. This serum is a water-in-silicone formula that utilises a delivery system to supply a highly concentrated level of stabilised retinol to the skin. 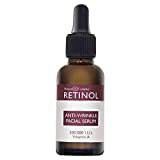 Retinol SA with silicone is slowly released to the surface layers of the skin minimsing the look of deep wrinkles. Silicone provides superior aesthetics allowing the ultra-lightweight serum to glide on effortlessly. It is suitable for use under make-up and other treatment products. 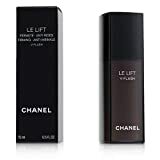 CHANEL LE LIFT FIRMING - ANTI-WRINKLE V-FLASH 15ML. It is a powerful serum that delivers targeted anti-aging benefits using smart technology that adapts to each woman’s specific needs. Its breakthrough formula defies the signs of aging, visibly toning skin and improving elasticity while reducing the appearance of wrinkles. The ultra-light serum provides 12 hours of continuous lifting and firming action. 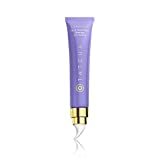 This is a serum that effectively reduces the appearance of wrinkles and smooths and softens the skin’s surface. The formula is enriched with Q10 pearls that burst upon application. What better way to boost up your skin, right? 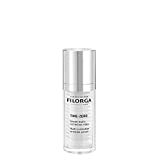 Filorga Time- Zero is a cosmetic filler like product made of a trio of high active ingredients including hyaluronic acid to plumb the skin. Normally hyaluronic acid is known for its ‘quick fix’effect but Filorga claims that this time the added hyaluronic acid has a long effect on the skin. 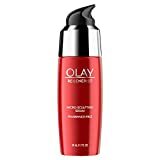 What are your favorite anti-aging products? Let us know in the comment section down below!